After a successful campaign on Kickstarter launch in 2013 and through early access both on Steam, as the Xbox One, the survival game The Long Dark finally received details and a trailer for his story mode. In the story, players assume the role of a man and a woman, both struggling to survive. The game is set in the jungle of Canada after an apocalyptic event that nearly wiped out civilization. Players should seek resources, create weapons to defend themselves from wild animals and find shelter to survive the strong winter. Currently in early access, the game has a survival mode that can be played on various maps. 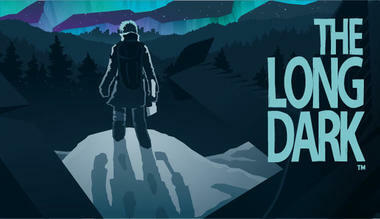 The Long Dark will be released through various episodes, with the first coming by December 2016. Each episode will consist of 2-3 hours of gameplay, where players will switch between characters Will Mackenzie, a pilot, and Astrid Greenwood, a doctor. The protagonists have the voices of actors known by Metal Gear Solid fans. Will is played by David Hayter, famous by the voice of snake, and Astrid will be Jennifer Hale, Naomi of the Metal Gear series. After the release of the first season, the Hinterland Studio developer revealed that the current price R$36.99 will be increased. Those who financed the game on Kickstarter and buyers early access version will be the first full season, which has estimated content of 10 to 12 hours. Check out the trailer below.